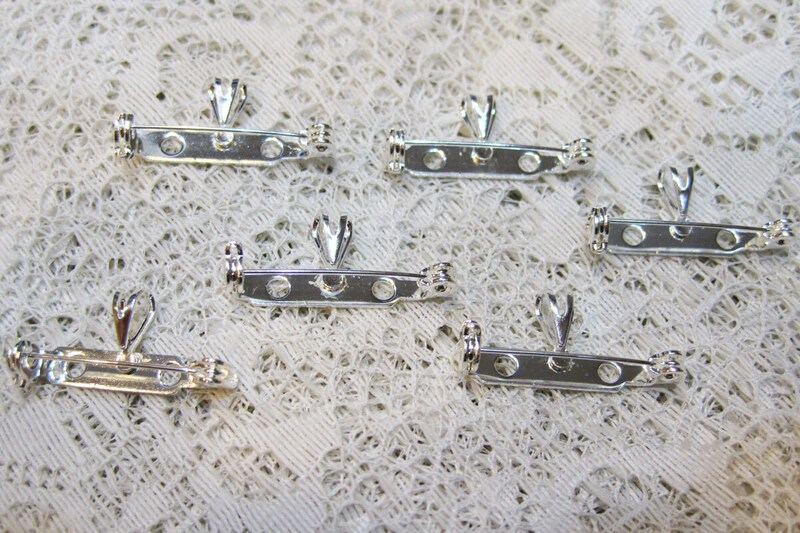 Convertible 1 inch pin backs in silver-finished steel have bails that allow completed pieces to be worn as brooches or hung from chain or cord as pendants. Size is: 27x14mm pin back with 7x4.5mm bail. You will receive 6 pin backs. Very pretty, quick ship, thank you! Perfect for my project! Fast shipping, great customer service. Will definitely buy from this shop again. Thanks! Perfect! They are just what I needed!